Web development is a booming industry and demand for web developers is definitely on the rise and will be for years to come. Coding is however, not everyone’s cup of tea. Or at least that’s what most people think. You may have a keen interest in web development and want to learn how to become a web developer but you chicken out, because you believe it will take you years to learn the skills. Learning the basics of web development is like learning anything else – it requires time and dedication. What really matters is if you have what it takes to become a web developer. Does the thought of designing websites and apps excites you? Is problem-solving and crunching numbers your forte? If you answered yes, then continue reading and find out how to become a web developer from scratch! A web developer is the whiz kid that builds and maintains websites. These are the people who make it possible for us to use cool websites and web applications with their coding skills. Web development is a very wide field of work and the skills you will need will depend on which area you choose to specialise in or which language you choose to learn or are skilled in. We have front end, back end and also mobile developers. So depending on these areas, there will be various skills required for maximum success. HTML: Hypertext MarkUp Language (HTML) is a frontend programming language that determines the structure of your website. By using a series of tags in HTML you are able to create a sort of basic skeleton of a website before you can add any style and elements to the site. CSS: Cascading Style Sheets (CSS) is the programming language that lets you add style to your HTML skeleton. It puts life into a website. CSS is the language that makes websites beautiful. SQL: This is a technology that stores information on a database. SQL is used to update and retrieve data from a database. PHP: PHP is a scripting language that allows all the elements on your website to interact while updating your database at the same time. PHP makes your website more dynamic. Java: Java is great language to learn if you want to create Android apps, games, software and website content. Python: This is a general-purpose language that allows you to do web development analyze data, build games, and more. Ruby: This is an open source programming language that lets you make your applications simple and productive. Elixir: This is a functional, dynamic language used to create applications that you can scale and maintain. FTP: File Transfer Protocol (FTP) is a skills that will help you understand how servers and databases communicate in order to store your HTML and CSS files on the internet. Bug Testing: This skill will allow you to find and eliminate any bugs in your code to make it clean and flawless. WordPress: This is one of the most popular platform used to design simple websites. Knowledge in WordPress will win you favor from clients who prefer this platform to using code to create their websites. Cross-browser compatibility: People use different browsers including Chrome, Safari, Explorer, FIrefox etc. to access websites. It’s important to learn how to make your websites compatible with popular browsers for better customer experience. Responsive web design: A boring web design will make your website a fail. Learn User Interface (UI) and User Experience (UX) to understand how a website should work so that you can create user friendly websites. Basics of SEO: Search Engine Optimisation (SEO) is the process of improving how a website ranks on search engines such as Google. Businesses are looking for SEO ready websites so it will be a plus for you if you know the basics of SEO. Checkout this infographic by Skillcrush for more valuable skills. A web developer will normally be responsible of creating a website from scratch, create product mockups and prototypes, create web-based applications and maintain and enhance websites. On average, a web developer earns between $40 and $75 per hour. Highly experienced designers charge $100 or more an hour. Back-end Development: This area depends on PHP, Ruby and Python languages to create websites or applications and connect them to a database so that they are working seamlessly behind the scenes. Back-end developers will rarely worry about the look and feel of a website. Their main concern is functionality and security of the website. Full-stack Development: Full-stack developers are the ninjas who do both front and back-end development. Most freelance web developers will prefer to work as full-stack developers. They will normally be able to fully build a site from start to finish on their own. App Development: The skills you have acquired as a web developer can also become handy in creating apps, if you’re interested in that area. As an app developer, you can specialise in creating apps for Android or iOS devices, or both. After picking a niche, now you want to develop skills in that niche so that you know what to do when you start getting jobs. You definitely don’t want to do a shoddy job now do you? After learning a few skills you need to put the new knowledge into practice before offering services to clients. A good way to practice is to do small projects for free such as updating an existing website, creating HTML elements such as a newsletter etc. You can do this for friends, family or NGOs. Join Github and learn how to use it. Use your coding knowledge to create a Github account and use it to showcase your future projects. Doing so will show clients that you are keen on improving your skills and stay up to date with trends in the web development field. Get involved in an open source project. Open source is code available to the public and can be edited by anyone. There are many open source projects that you can work on to practice your skills. Open source projects are great for improving your skills, getting hands-on experience with real design projects and helps you to network and collaborate with other developers. The next step is to create a website and work on your online presence. This is a critical step to prepare you to find new clients. A personal website doubles your chances of getting hired by potential clients especially if you’re just starting out. It shows that you’re a true professional who means business. Update your social media profiles to indicate your newly acquired skills. Don’t forget to update your LinkedIn profile as it’s one of the best places to get new clients. By creating a website and updating your profiles, it will be easy for interested clients to find you as they search the internet for freelance web developers. Next, decide how much you want to be paid. There is really no one-size-fits-all freelance rate when it comes to web development. However, a few factors to consider when deciding how much to be paid are, amount of money spent on investing on your skills, your acquired skills, your experience and the area of development you are working in. Of course, the higher any of these factors are, the higher you can charge. Armed with a niche, well developed skills, freelance projects and a rate, now it’s time to find you some real clients who will pay you for your web development services. One, look for agencies that handle web development work. Send them an email introducing yourself and express your wish to collaborate with them. This is a great way to develop your credibility as a web developer especially if you get the chance to work with highly reputable agencies. Two, you can ask your relatives, friends and former acquaintances for referrals. You never know who knows someone looking for a website or even a web application. Three, look within your networks. Ask fellow freelancers for referrals. Experienced and seasoned freelancers will at times have more work than they can handle and are willing to outsource the extra work to other freelancers especially newbies. Four, form a working relationship with graphic designers. Why is this important? Many web designers are not coders and therefore, cannot do the coding bit of a website. Graphic designers can be a good source of web development work which they themselves cannot handle. Five, join groups and communities where entrepreneurs hang out. You will always find someone who is looking for a good web developer to create a website for their business. Remember, don’t go overselling yourself on these communities. Instead, offer valuable advice and engagement that showcases your expertise. Networking communities are a great way to form relationships, learn the industry and also to find clients. Take it upon you to attend as many relevant networking events near you each month. There are lots of networking events all over the world, just find the ones near you. Meetup and Eventbrite are great sites to search for relevant events near you that you can attend. 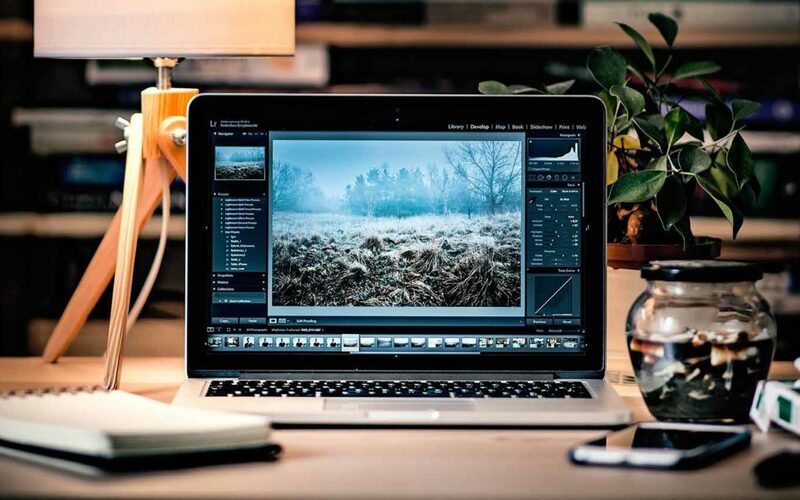 Now that you have some practice projects going on, it’s time to build your portfolio. A portfolio for your web development business is a must. Clients will want to see what you’ve done before and will only hire you if you have an impressive portfolio. Make sure that your portfolio is a real reflection of your skills. Add all the projects that you’ve ever worked on and keep updating it as you continue to take on new projects. Remember to ask your clients for feedback and reviews for all the jobs that you complete. Reviews are a great way to sell yourself to other potential clients. Everyone wants to work with someone that somebody else can vouch for. So the more positive reviews that you have, the higher your chances of getting more clients. Check out our program, The Digital Nomad Roadmap to learn how to build a successful freelance web developer business as a digital nomad living all over the world. The quickest way to find freelance web development jobs for a newbie is definitely online job boards. These sites are great for gaining experience. Upwork: This with no doubt, is one of the largest freelancing sites available today. There are thousands of web development jobs posted daily. Create an outstanding Upwork profile and beat out competition for the best jobs. Freelancer: This is another popular freelance jobs site that features lots of freelancing jobs including web development gigs. Create a profile on Freelancer and start applying for jobs today. Toptal: This is an online jobs board focusing on web and software developers. The site is more specialised and features highly qualified developers so you might want to join this one after you’ve developed some really good skills. The best part about Toptal is that if you get accepted, you get linked up with high paying tech companies and startups. Krop: Another great freelancing site for programmers and designers. To get hired on Krop, upload your website to showcase your skills to clients. Envato Studio: This online jobs board features freelance jobs for programmers, graphic and website designers. Jobs on the site are either one-time or short-term based. WordPress Jobs: This official WordPress job board posts WordPress related jobs including template design, plugin development, theme customization, among others. So if you understand the ins and outs of WordPress, this will be a great place to find paying jobs. PowerToFly: This is another specialised job board. The site only features women in tech. The vetting process is very strict and may take up to 2-4 weeks to make sure only the best web developers join the site. 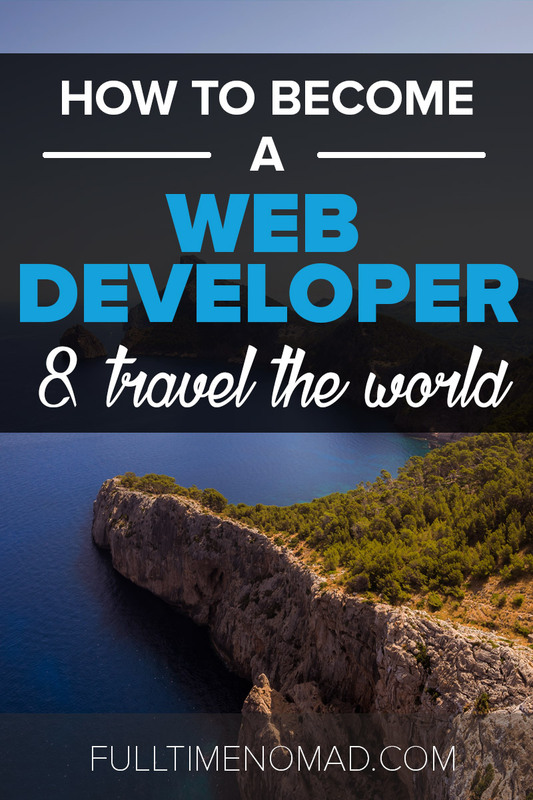 Why is web development one of the best jobs to earn money while you travel? To begin with, you can work remotely. It doesn’t matter where in the world you are, you can still run a successful web development business. If you’d prefer to work as a full time employee, there are also many opportunities for web developers to work remotely. This allows you to live your dream life of traveling the world without giving up the security of a full time job. You don’t have to rely on client work. You can simply use your acquired skills to create websites and web applications that you can turn into money making ventures. You can even focus on creating apps and sites and sell them for a profit. You can use proceeds from such ventures to fund your travel. Lastly, you get to work independently on your own time and schedule. This allows you to incorporate travelling into your life as you get totally control own when to work, where to work from and whom to work with. Now that’s the life! So if you thought starting web development is too difficult or if you just been curious on how to become a web developer, now you have nothing to worry about because with the above guide we’ve got you completely covered! The ball is now in your court, go on and get started today! Great Article! Thank You!! I love your advice: join groups and communities where entrepreneurs hang out. You will always find someone who is looking for a good web developer to create a website for their business. Remember, don’t go overselling yourself on these communities. Instead, offer valuable advice and engagement that showcases your expertise. Very inspired article by informing wide aspect of web designer, for newbie like me.